This year, over 300 dictionaries were given out and several Rotarians assisted with the presentations. 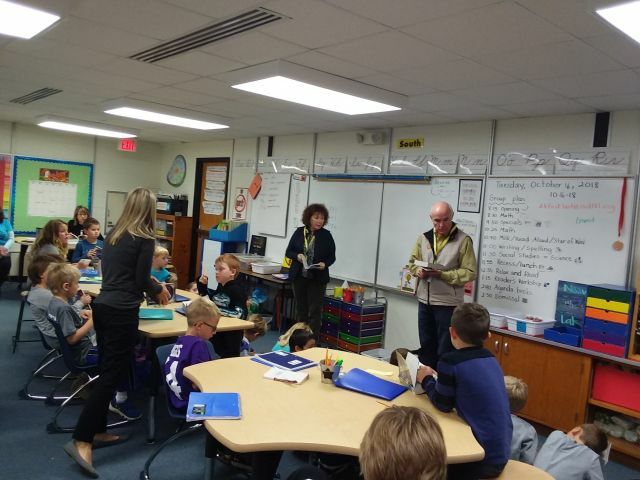 Patty Baltz gave a great presentation at Nisswa Elementary and is shown with Bob McLean. Diane Collins also assisted. Each dictionary includes a label for the child's name and a label with the Rotary 4-Way Test.